Soulja Boy has been arrested by Los Angeles police on a suspected probation violation after they found a firearm in his Hollywood Hills home on Thursday. 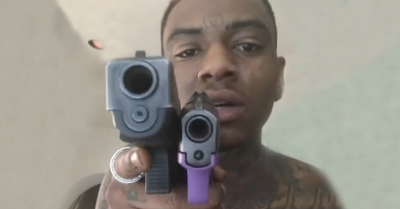 Soulja boy and Quavo have been beefing online for a while and on December 5th, Soulja boy made verbal threats to Quavo by showing his guns and telling Quavo to come to his house and get messed up. Soulja Boy had been sentenced to two years of probation on Dec. 18, 2014, after being convicted of carrying a loaded firearm in a public place.